Rock hits of the 80s? Balalike it! RBTH continues its musical journey in time. This issue presents rock hits of the 1980s. 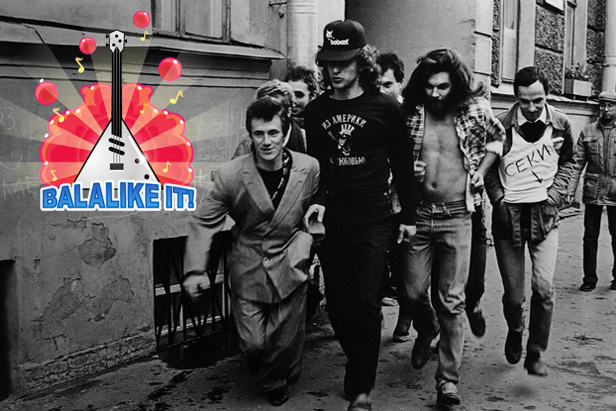 The 1980s for Russian rock was a seminal time, since under perestroika rock music (like many other things) was no longer outlawed. Once the music of protest, which no one had dared speak about, let alone sing, now it was the anthem of a new era of change and yearning for freedom, primarily freedom of information. For the first time in Soviet history it was possible to write and sing about once forbidden topics: Stalin’s purges, bureaucrats, long lines outside shops, and shortages of goods. It goes without saying that Russian rock evolved in conditions wholly unlike those in the West. Perhaps that is why in Russian rock the word triumphs over the music, and sincerity over technique. These characteristic features of Russian rock permeate the following five songs.